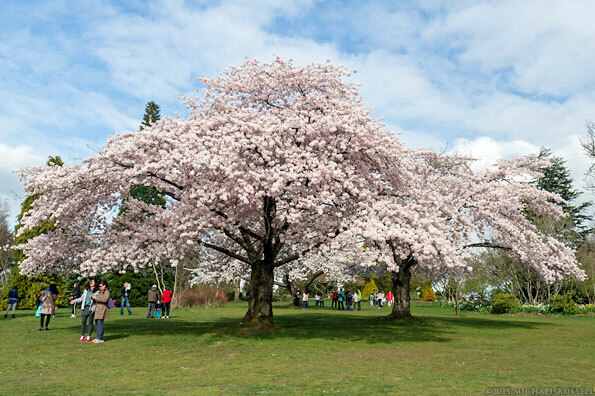 This is one of the hotspots for Vancouver cherry blossoms – Queen Elizabeth Park. I have been here in previous years to photograph these trees and the QE Park gardens, but this time there were crowds well beyond what I had experienced in the past. Seems I had forgotten that this was during spring break week, and there were a lot more people out viewing the cherry blossoms. 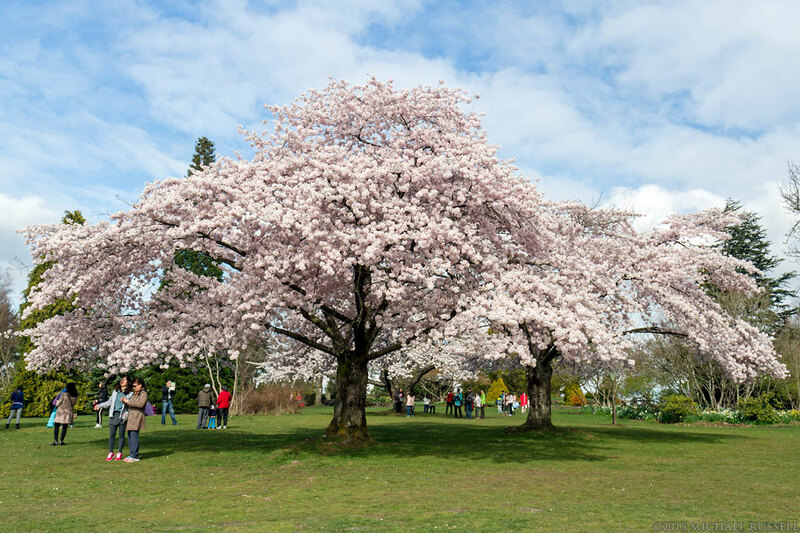 There are many popular spots to view cherry blossoms in Vancouver during the Vancouver Cherry Blossom Festival but this spot and Stanley Park remain my favourites. I decided to embrace the reality of the crowds and made this and a few other photographs of the people enjoying the cherry blossom. Surprisingly, the rest of the gardens had very few people in them despite the abundant daffodils, magnolias, tulips, and other flowers. You can view more of my garden photos in my Garden Photography Gallery in my Image Library.